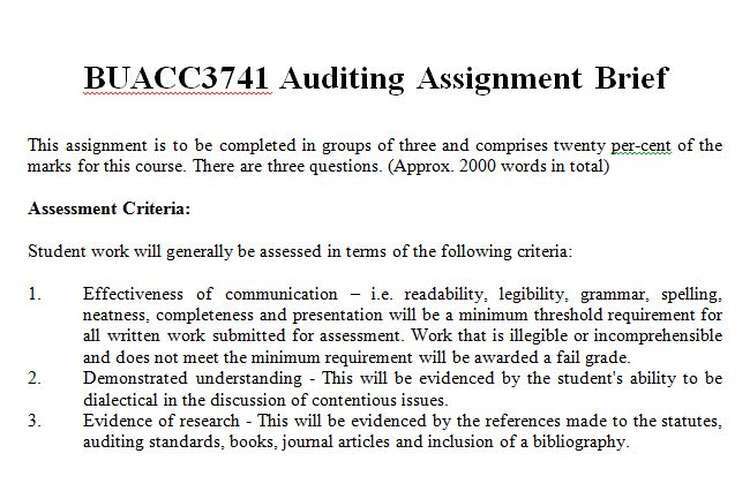 This BUACC3741 Auditing Assignment Brief is to be completed in groups of three and comprises twenty per-cent of the marks for this course. There are three questions. The International Accounting methods Standards Board (IASB) recently issued Exposure Draft IFRS Practice Statement Application of Materiality to Financial Statements to provide guidance to assist management when applying the concept of materiality to general purpose financial statements. Information is material if omitting or misstating it could influence decisions that users make on the basis of financial information about a specific reporting entity. Two main issues for auditors going forward concern ‘Big Data’ and ‘End-to-End Software Integration’. From transformative technology to complex regulation to unprecedented geopolitical risk, an increasing tide of disruptive trends are demanding substantive change to the global role of audit committees.